When you have a problem with your Volkswagen, we don’t just do a cursory check and implement the first solution that comes to mind. Our first concern is for the safety and reliability of your Volkswagen. After all, you rely on your VW to get you (and perhaps your family) from point A to point B without any problems. We take the time to properly diagnose what is going wrong with your VW, and we tell you what is needed to get your car back on the road. We then fix it right the first time. With improved technology, car manufacturers are increasing the length of time between service intervals, but is this the correct approach? When answering this question, remember why car manufacturers are in business to sell cars. 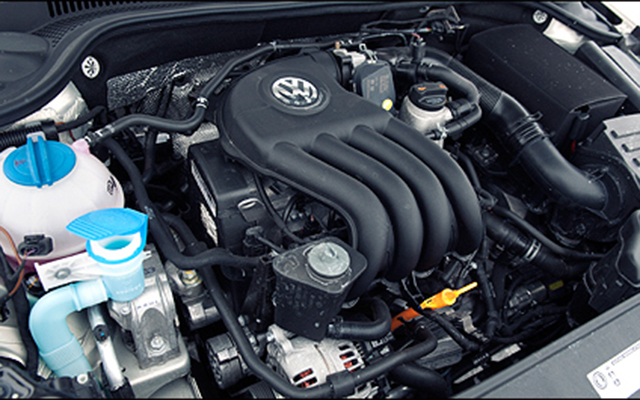 If you really want to increase the lifespan of your car, VW maintenance must be done on a regular basis. More times than not, VW maintenance should be performed more frequently than recommended by Volkswagen. When Mom & Pop's performs your VW repair, VW maintenance, or VW service, you get the personal attention you won’t find at a dealership or quick lube shop. We come to know you and your VW, and that’s important to keeping it on the road for years to come! We can tell by the wear and tear what’s occurring, what problems you may encounter and we help you maintain your Volkswagen so you can minimize the number of breakdowns or serious problems. In doing so, you will drive away with the peace of mind know your car is safe for you and your family.